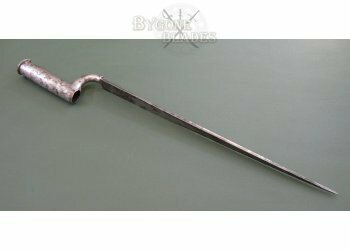 Exceptionally rare 18th Century socket bayonet. 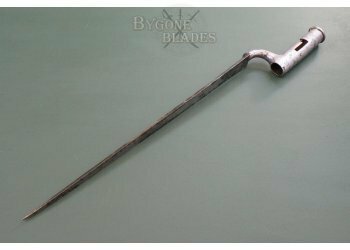 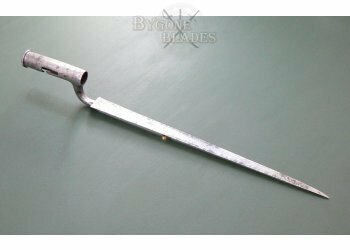 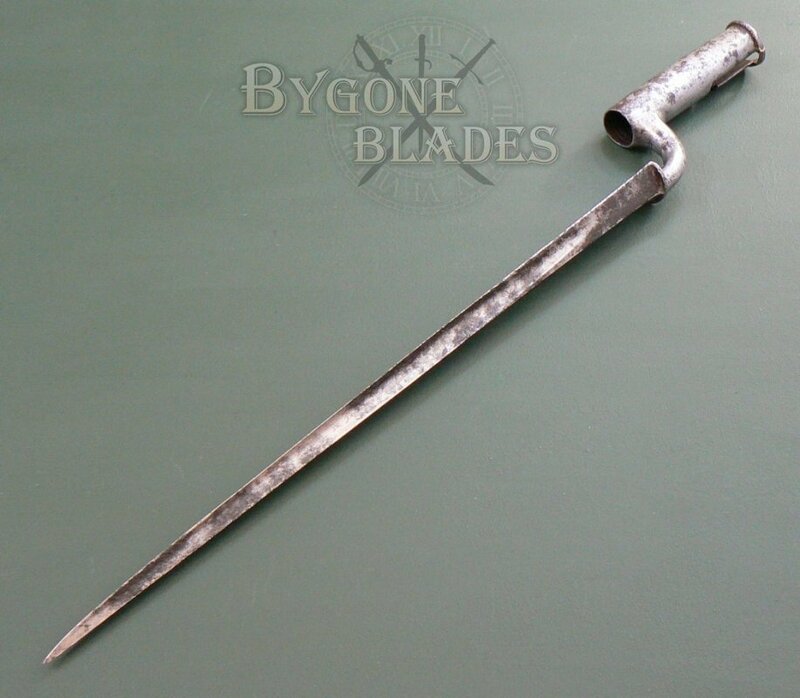 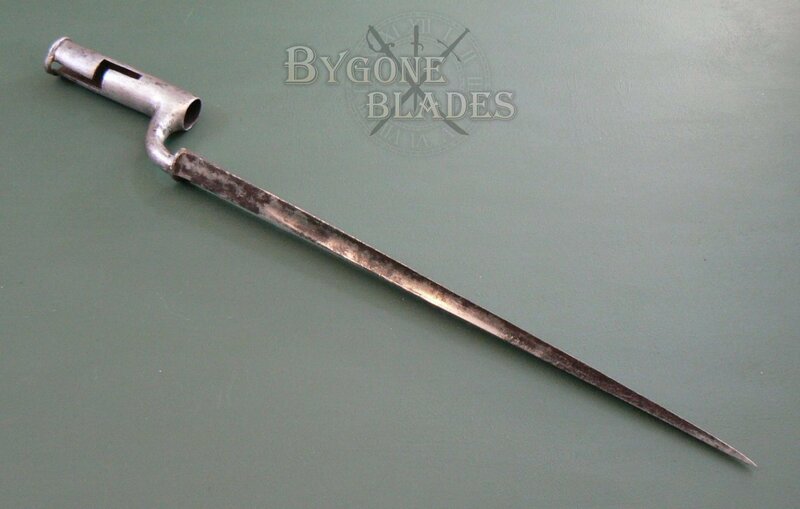 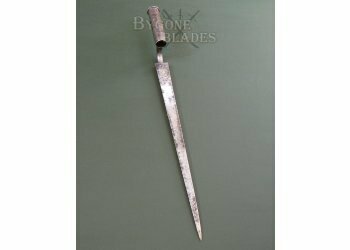 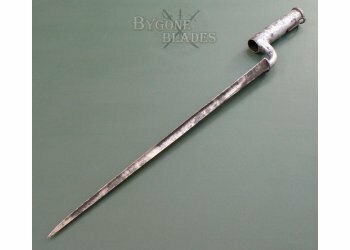 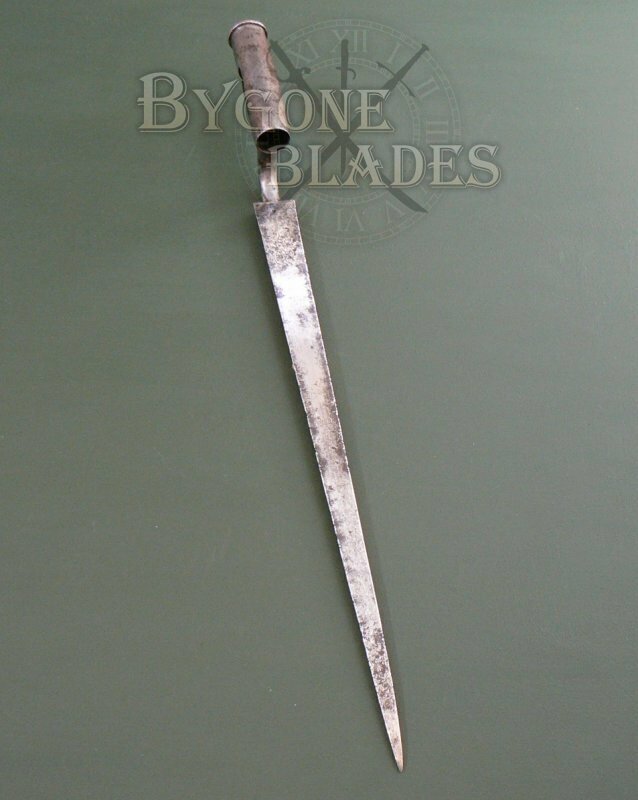 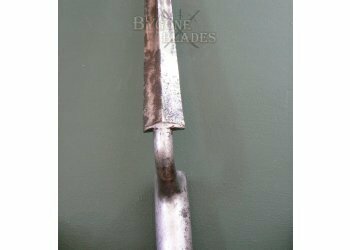 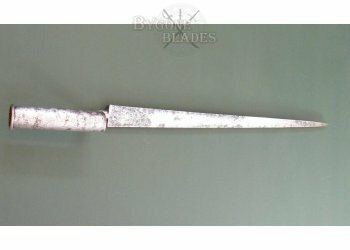 This bayonet was made for the 1770 pattern Heavy Dragoon carbine and is of the early type, dating it to around 1770-1790. 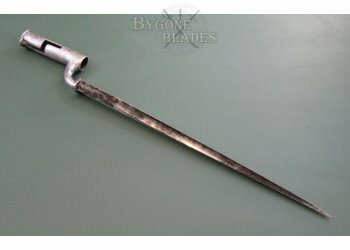 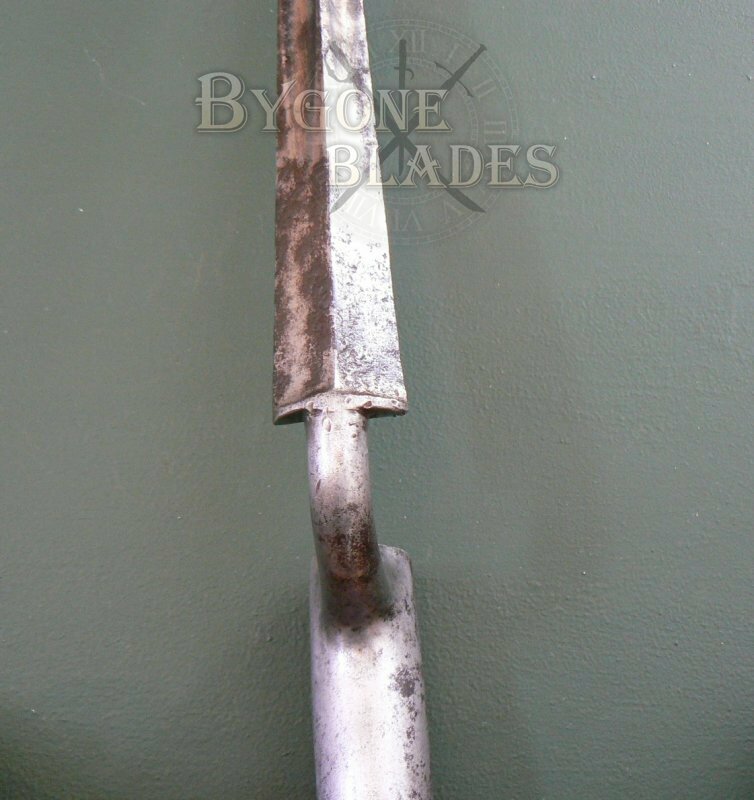 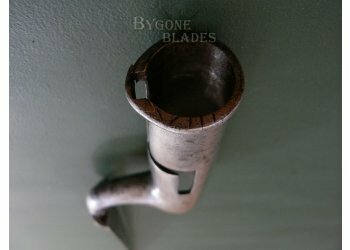 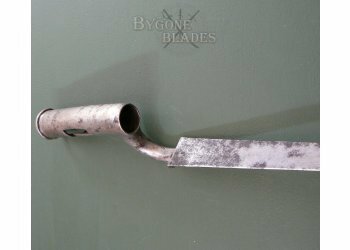 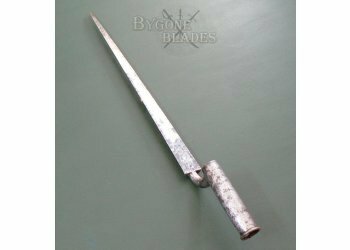 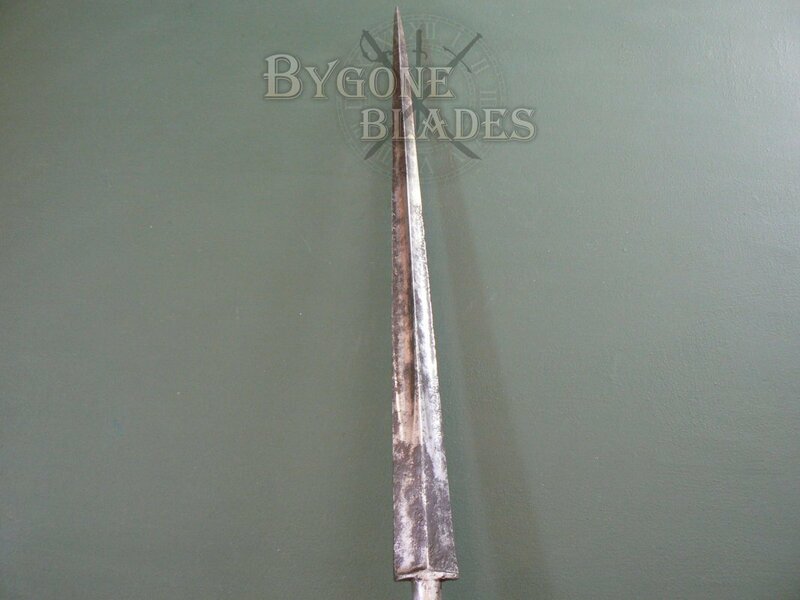 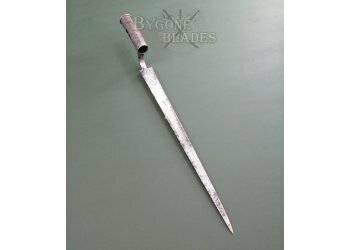 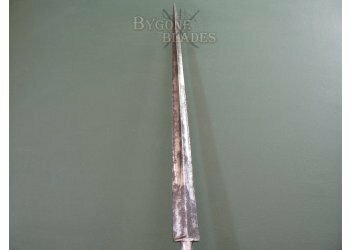 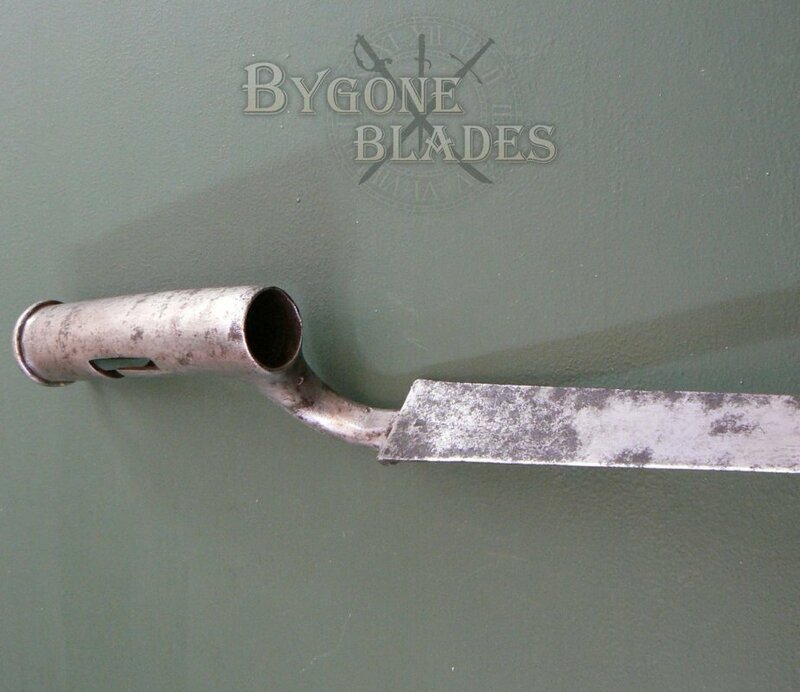 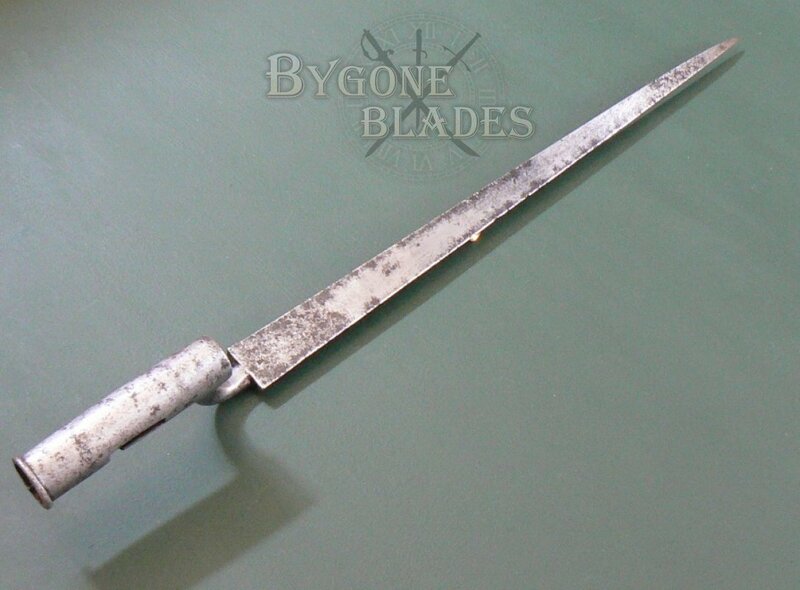 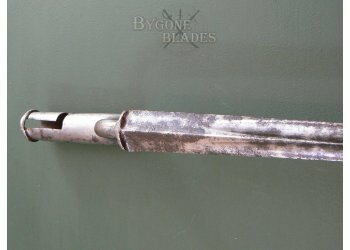 The bayonet has a total length of 492mm with the triangular blade being 371mm long. 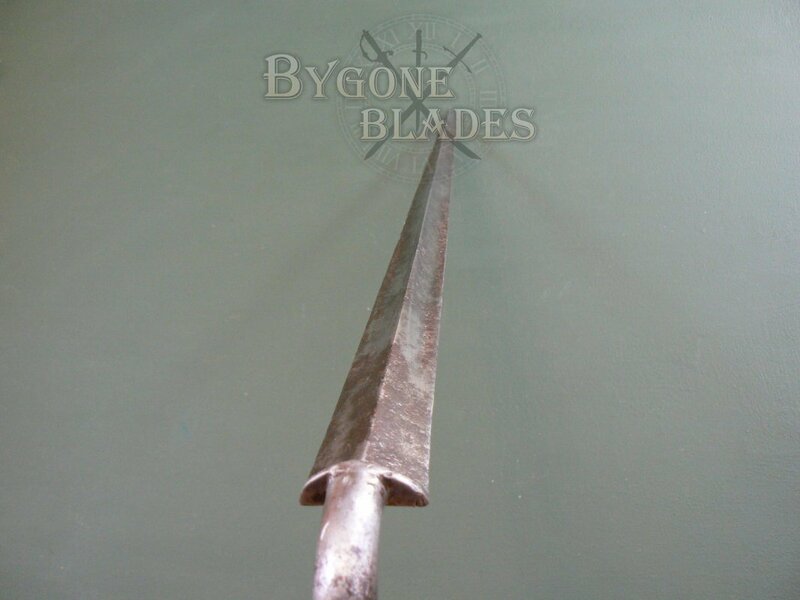 The top surface of the blade is flat with sharp edges; the bottom two sides have broad fullers beginning approximately 53mm from the shoulder. 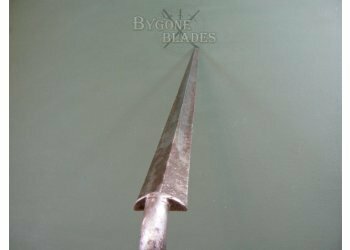 The blade is 28mm wide at the shoulders. 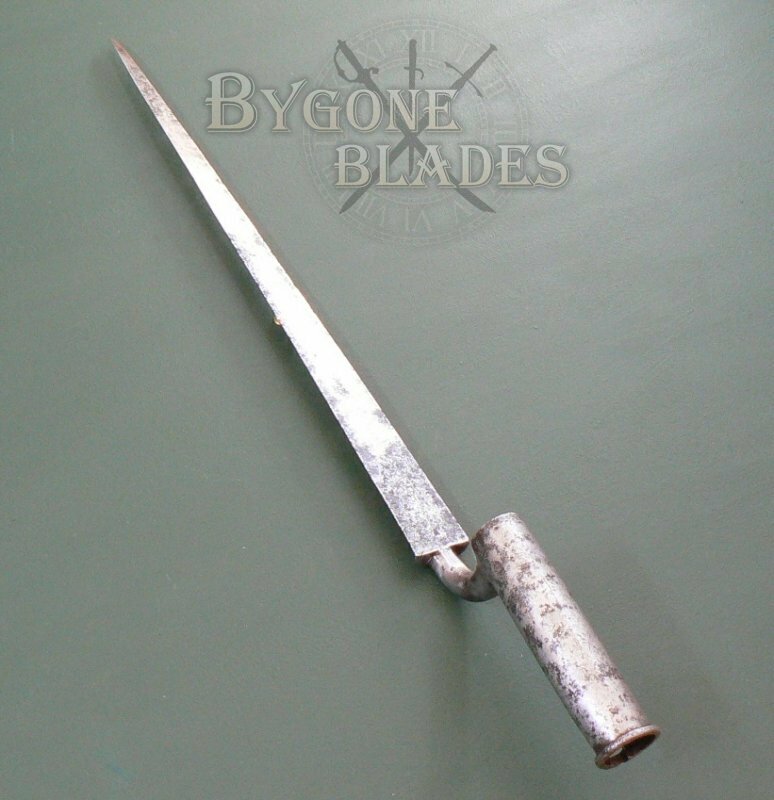 The blade bears two indistinct markings, one of which could be either the number 8 or a partial Board of Ordnance crown. 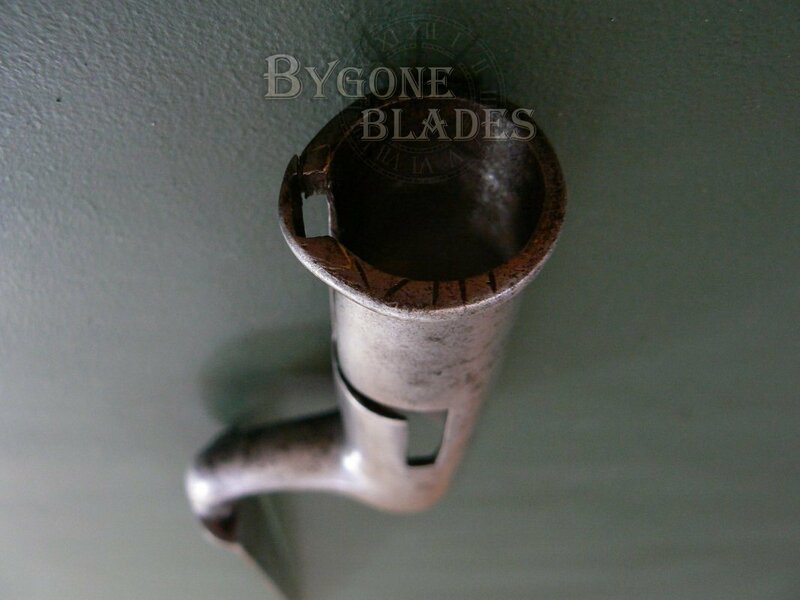 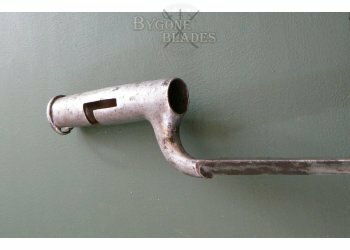 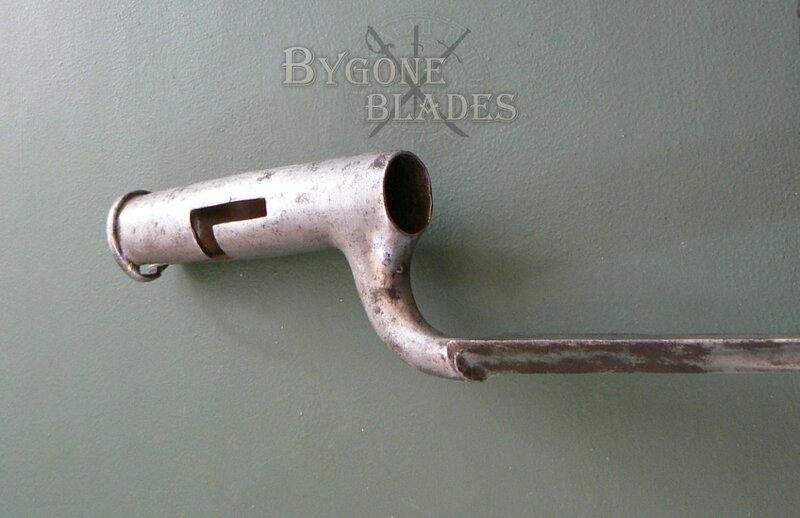 The socket of the bayonet is 105mm long and has a bore (internal diameter) of 20mm. 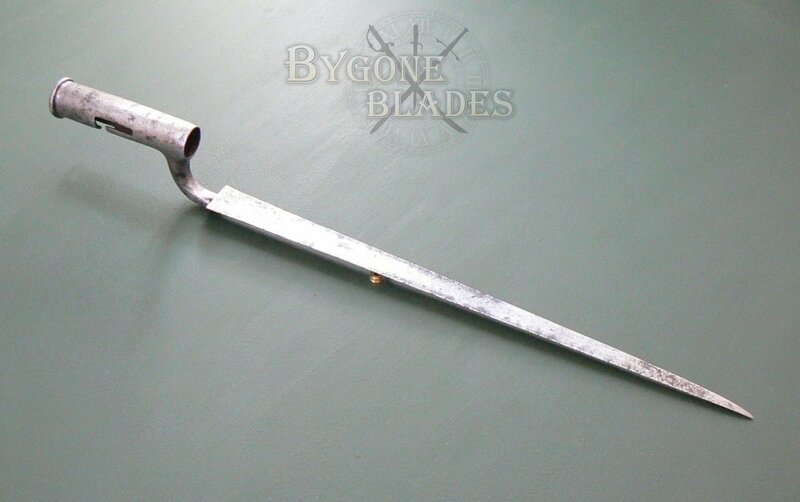 The three-stage mortice is 62mm in length. 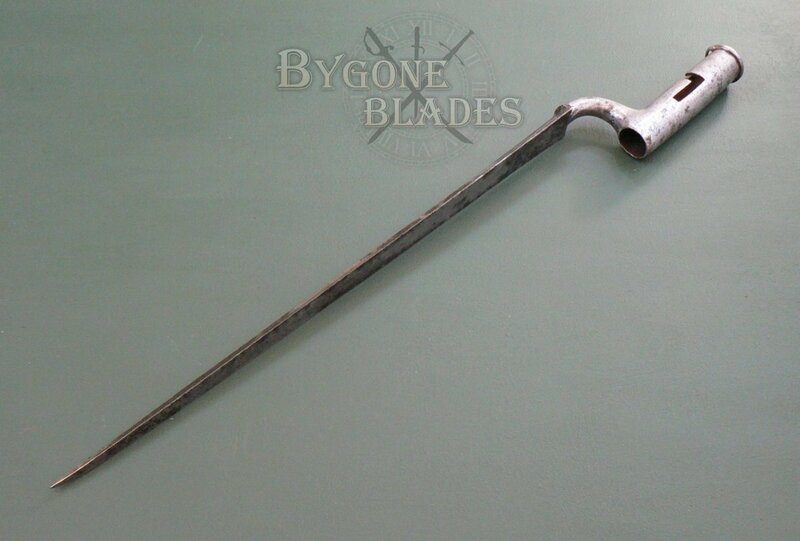 Often the third stage of the mortice was lengthened to enable the bayonet to be fitted to later patterns of the carbine. 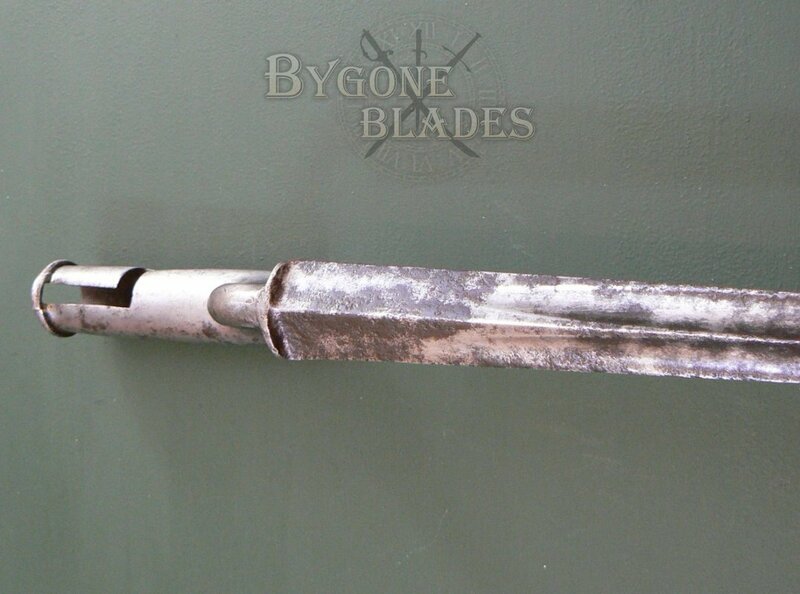 The bridge of the reinforcing ring at the mouth of the socket was braised into place during the bayonet’s manufacture and the brass can be clearly seen. 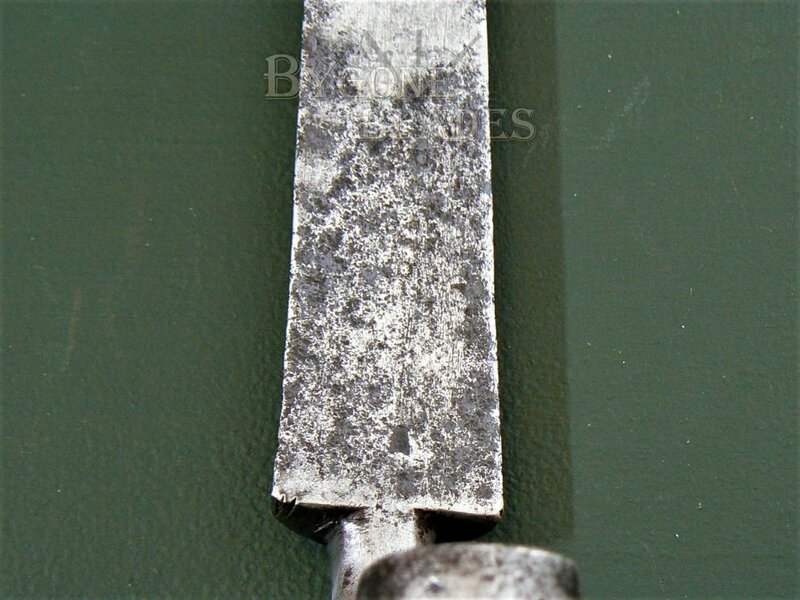 One end of the bridge has separated from the braising. 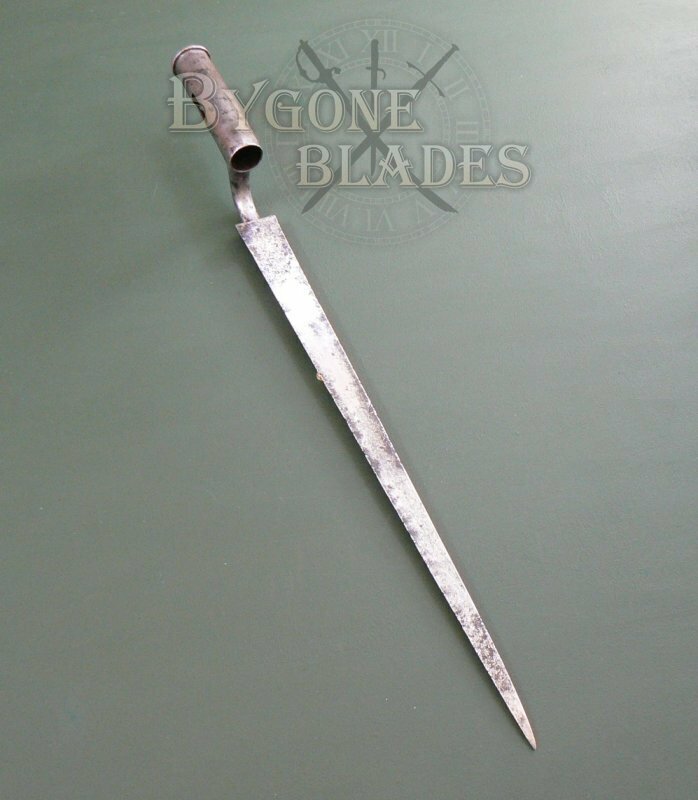 The reinforcing ring is incised with what look to be the Roman numerals for the number “8,” which could correspond with the possible numeral “8” on the blade. 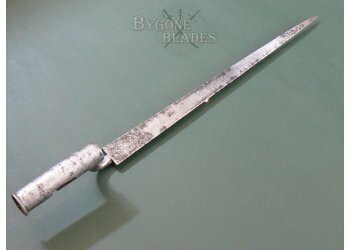 The bayonet is in overall good condition. 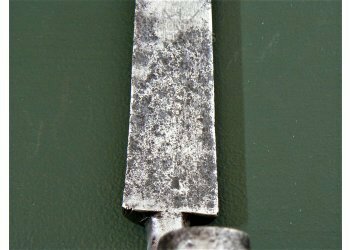 There are areas of dark tarnish and pitting. 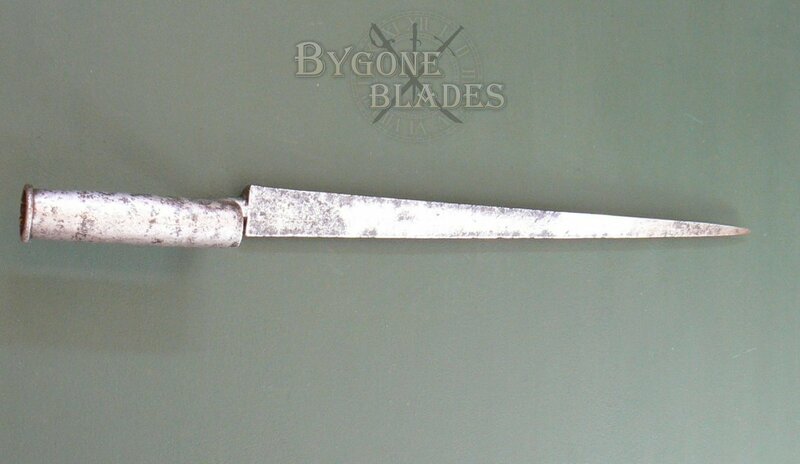 This is a good example of a very rare British socket bayonet for the 1770 Heavy Dragoon carbine, a firearm that was used extensively during the Peninsular and Napoleonic Wars.